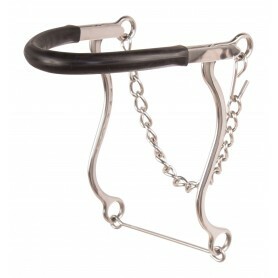 Control and train your horse with our variety of horse bits. 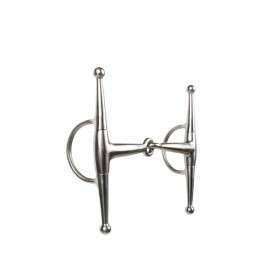 We have an excellent selection of horse bits including snaffle bits, pony bits, twisted wire bits, grazing bits, D ring bits, and more! 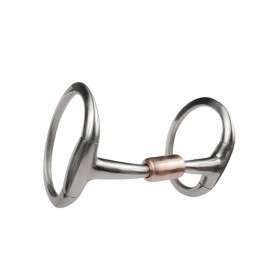 This bit features a copper roller in the middle that calms the nervous horse and keeps the mouth wet and responsive. The eggbutt design prevents the bit from moving around too much in the horse’s mouth. The full cheek design on this bit prevents the bit from moving around too much in the horse's mouth. It is also useful to help guide your horse into your turning aides, especially for younger horses that are still learning their rein cues. 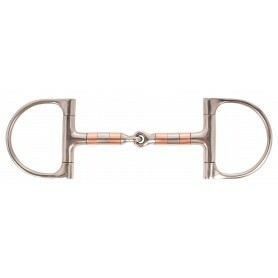 This D-Ring copper roller snaffle is the perfect training and transition bit. Whether you are starting a horse, or just going back to the basics, this bit helps with lateral movement while achieving suppleness from the jaw to the tail. The hackamore is very useful for a horse that may have a sore or sensitive mouth and will help aide in pulling back the reins for added stopping power.